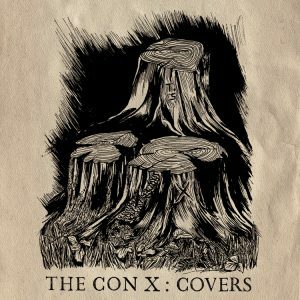 Various Artists – The Con X: Covers To commemorate the 10th anniversary of Tegan and Sara’s classic 2007 album, The Con, Warner Bros. Records will release The Con X: Covers. The new album features 14 of Tegan and Sara’s favorite artists, each interpreting a song from the original album. Tegan says, “As the 10th anniversary of The Con approached, Sara and I started to brainstorm meaningful ways to celebrate what was easily one of our most important records. Almost immediately we established that a tour playing all 14 songs in a more intimate and stripped-down arrangement would be memorable for our diehard fans. But we also wanted a companion piece that would live on past the anniversary, hence The Con X: Covers album was born. Warner Bros. Records will be donating net album proceeds to the Tegan and Sara Foundation. A portion of the proceeds from Tegan and Sara’s The Con X: Tour will also benefit the foundation. The Beatles – Christmas Records The Beatles’ festive fan club holiday recordings presented together on seven colored vinyl singles with original artwork. The Beatles’ annual holiday tradition of recording jolly Christmas messages for fan club members was an important part of the band’s relationship with their most ardent supporters, affectionately referred to by them as “Beatle People.” Spanning 1963 to 1969, The Beatles’ holiday recordings were originally pressed on flexi discs and mailed to fan club members each December. Never released beyond the fan club until now, The Beatles’ seven holiday messages have been newly pressed on a rainbow of seven-inch colored vinyl. 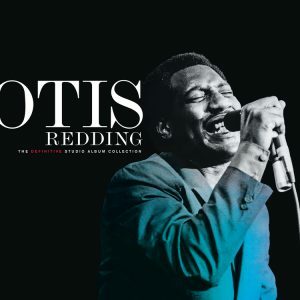 Otis Redding – The Definitive Studio Album Collection Seven-LP collection features original mono mixes for all of the singer’s studio albums, but not the post-humously released LPs, The Immortal Otis Redding or Love Man. All of the LPs replicate the original packaging, from the sleeve artwork down to small details like the original record labels (Volt and Stax) and catalog numbers, all housed together in a side-loading slipcase. Several of these albums are long out-of-print and back on vinyl in mono for the first time in years. Velvet Underground – 1969 Double vinyl LP pressing. This definitive vinyl edition of VU’s ‘lost’ fourth album presents one cohesive collection on two LPs, with many tracks and mixes making their vinyl debut. You’ll hear the original 1969 mixes of “Foggy Notion,” “I’m Sticking with You,” “Andy’s Chest,” “She’s My Best Friend,” “I’m Gonna Move Right In,” “Ferryboat Bill,” “Ocean,” “Rock & Roll,” 2014 mixes of “One of These Days,” “Lisa Says,” “Ride into the Sun,” “Coney Island Steeplechase” and more precious original recordings of an iconic band. The Velvet Underground formed in 1964 in New York City by singer/guitarist Lou Reed, multi-instrumentalist John Cale, guitarist Sterling Morrison, and drummer Angus MacLise (replaced by Moe Tucker in 1965). Soundtrack – Crazy Heart This is a 180g vinyl reissue of the 2009 Academy Award, Grammy and Golden Globe award-winning soundtrack, Crazy Heart. This 2-disc, 180g LP features the Academy Award winner for Best Original Song, “The Weary Kind” as well as a list of other hits performed by Buck Owens, Townes Van Zandt, Waylon Jennings, and Lightnin’ Hopkins. Pressed onto vinyl for the very first time, this package features a 6-panel digi-gatefold as well as a fold out movie poster. 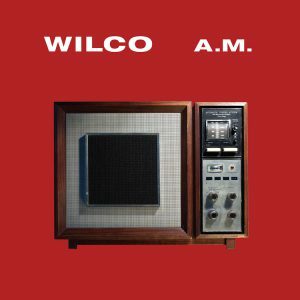 Wilco – Being There – The DELUXE EDITION builds on the original with 15 bonus tracks released for the first time, including alternate versions of tracks “I Got You” and “Say You Miss Me.” Also included are four songs the band played on radio station KCRW on November 13, 1996. As a touring band, many of these songs can be found on Wilco’s current set-list as notable fan favorites that have evolved over the years. 4 LPs in all. Posted on Wednesday, November 29th, 2017 under New Releases. You can follow any responses to this entry through the RSS 2.0 feed. You can leave a response, or trackback from your own site.